La Dita is an all female acoustic duo. 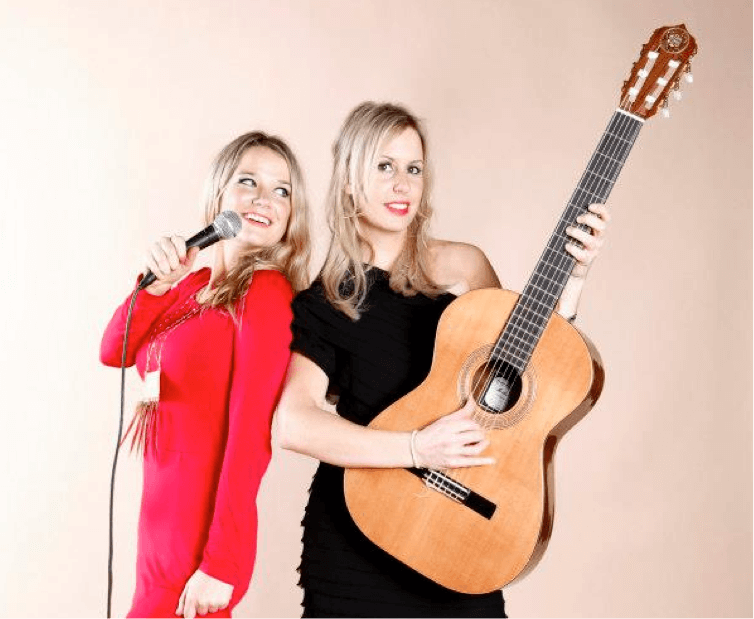 Combining husky tones with ethereal harmonies and classical guitar prowess, La Dita cover songs from a wide range of genres all unified with their individual style and interpretation. The girls are very versatile, and their line up can be increased to include saxophonist, Gee Sax. Whether you require background music, or more up-tempo interactive entertainment, they always deliver with confidence, creativity & flare. Based in Ibiza, the girls are most known for their bi-weekly residency at Experimental Beach, and their Saturday night residency throughout the summer at Nikki Beach Ibiza. They have played at some of the Island's most sought-after and exclusive venues: The Polo Club, Atzaro, Hacienda, Cafe del Mar & Villa Mercedes. From super yachts to exclusive villa parties, La Dita’s first summer in Ibiza has seen their reputation go from strength to strength.